2012 Crestliner 16 Storm 2012 Crestliner 16 Storm Silver with grey interior. Equipped with Motorguide FW-FB 46 lb. 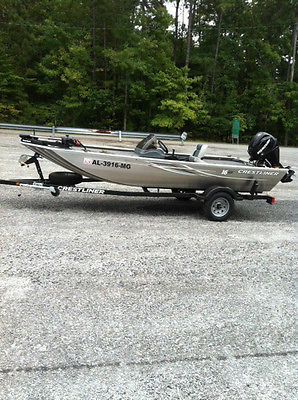 12 volt trolling motor, Lowrance X50 DS graph, huge front livewell with bait station, 6 gallon fuel tank and 2 batteries. Mercury 40hp EFI 4 stroke motor. Fully serviced by our Marine tech with new oil change, new lower unit grease change and new water pump impeller. 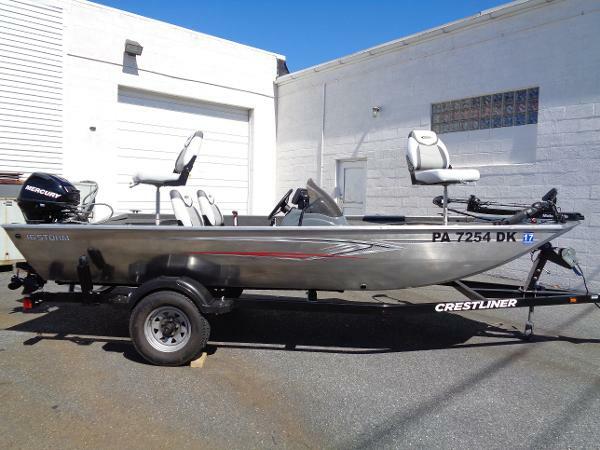 Trailer is included in the price. No charge for freight or dealer prep. 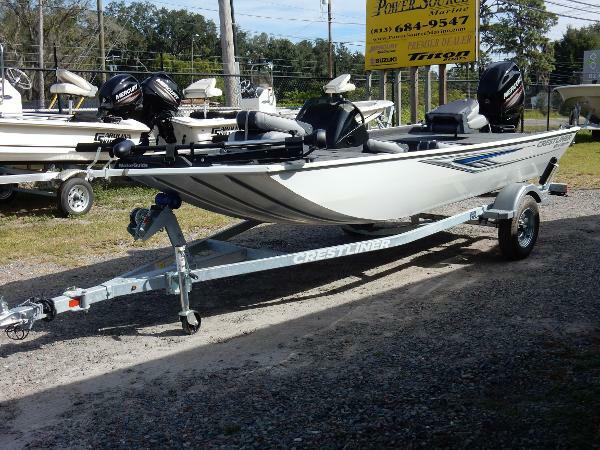 Length is 15'10" beam is 6'3" dry weight is 610 and person capacity is 3. 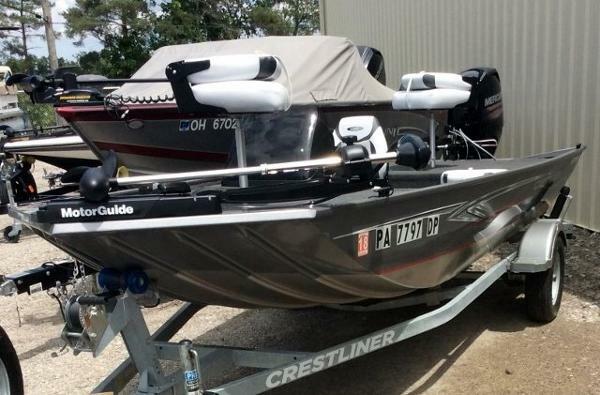 2015 Crestliner 16 Storm This boat model may or may not be in-stock. 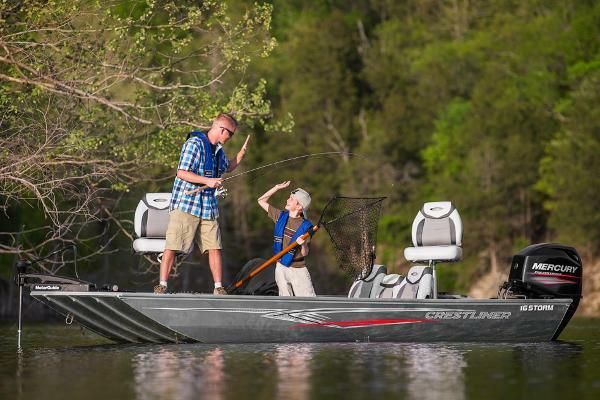 Please contact your local, authorized dealer for more information.With storage-rich dual casting platforms and a super stable Mod-V hull, the Storm is a versatile, affordable, dependable fishing machine that suits serious anglers and families alike. 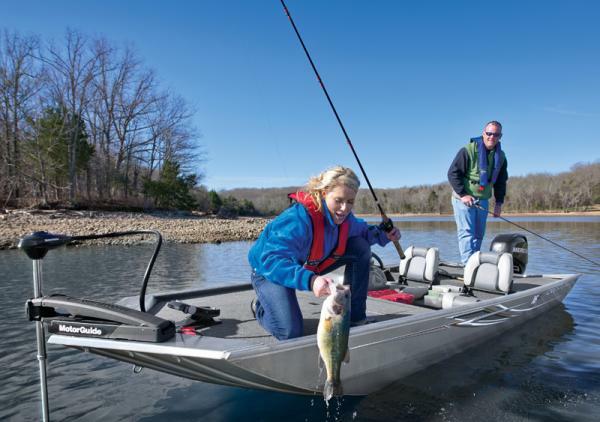 Whether you’re hunting down back bay bass or on your way there, the Storm is the partner you want. 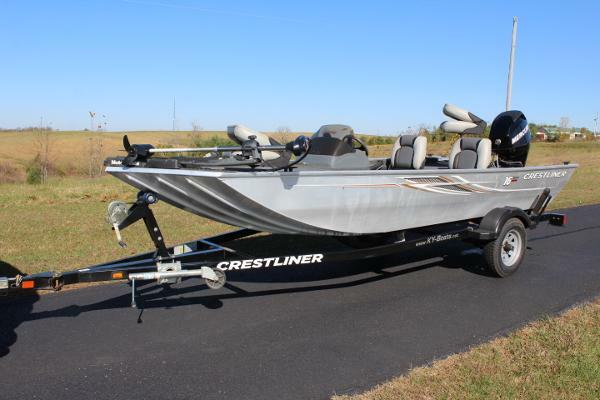 2013 Crestliner 16 Storm This boat model may or may not be in-stock. Please contact your local, authorized dealer for more information. 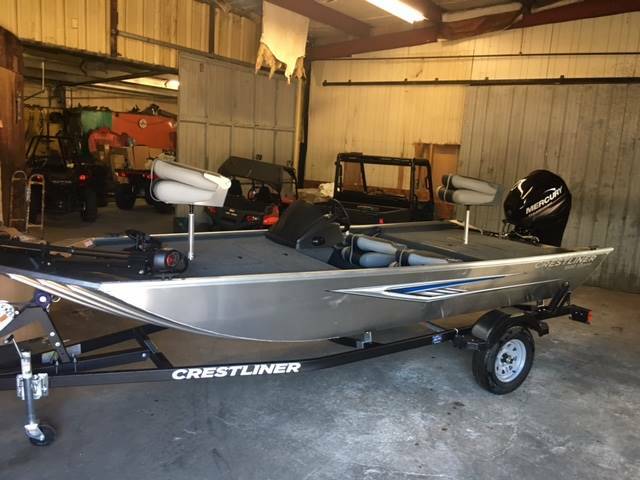 Often called the ultimate entry boat, the Storm from Crestliner gives you everything you need and nothing you don't at a value too good to ignore.